Amplified action, weaponry skills, intense combat, and fun-filled entertainment is what awaits you when you pick up your PS4 and play any shooting game designed by the console gaming giant. However, with PS4’s latest gaming releases you stand the opportunity to experience the unimaginable, a world where high resolution has enhanced graphics for a real gaming experience, where the interactive nature of the latest PS4 games has created a liveable and breathable gaming realm for players to explore. This right here, this is the Holy Grail of 2019, it’s your list to the best shooting games for PS4 and you, without a doubt, must play them STAT. Before we get started on what may be the best list of games ever, we thought about our readers without a PS4 console. If this is you, never fear, we have found the best way for you to play action-packed video games when you register here. 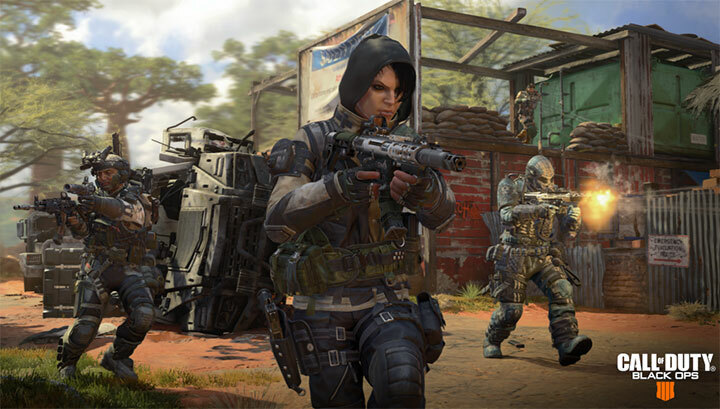 Being the 4 episode of the series, Black Ops is your go-to video game. It is a first-person shooter game with a difference. Nestled within the menu of the game, you have the option to play ‘Battle Royal’, an interactive version of the game where you and your team battle it out against other teams for the victory. One of the most notorious games in all of gaming history is the Legendary Far Cry series. Each of the games is based on a different theme. The fifth edition is based on a city which has been infiltrated by a cult which you must destroy. The game’s amazing graphics and appearance amplify the appeal of the already successful brand. This one is designed to be a first player game in the arena. The fast game is intensely exciting as teams battle it out in a futuristic setting. The fun also comes in creating your team of 5 members as each player needs to bring something the other doesn’t have to the team. You will need an assassin, a healer and a tank within your team, which makes Overwatch one of the most successful multiplayer arena games created for PS4. Being one of the fastest selling PS4 games, it shouldn’t come as a surprise there would be a sequel. What was fantastically surprising was how good the sequel was. It has been rated as one of the best first-person shooter games. The game is based on a war in a sci-fi realm and has been digitally designed to promote crystal graphics, enhanced audio and interactive gameplay. Prey has been described as one of the best sci-fi genre first-person shooter games. The unique experience has been expertly delivered to players in a brilliant fashion exclusive to the gaming invention that is Prey. Enjoy a number of RPG elements which adds to the action of the shooter game. PS4 has been one of the priciest consoles and all for a reason. Being able to drive the games as mentioned above requires the best gaming software to date. PlayStation has proven their gaming quality over the years and now in 2019, we get to enjoy all the benefits of quality gaming through some of the best video games to date.